India’s most famous Mobile vendor Micromax has introduced a new Battery centric smartphone, the Canvas Juice A77. The A 77 Juice comes with a 5inch display having FWVGA resolution. You would be familiar with most of the features / specs of the phone, but the things which makes it apart from other Dual core phones available in the market are its battery backup and 1GB RAM. The A77 Juice comes with a massive 3000 mAh battery and dual SIM support. The handset is 10.22 mm thick but weighs only 100.5 grams. It is the first Dual Core smartphone from the company integrated with 1GB of RAM, which seems to be quite nice and interesting. 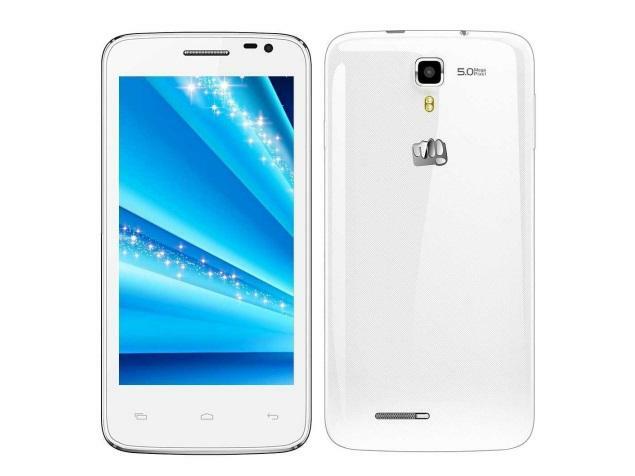 The A77 Juice is priced at RS 7,999 and it comes is White color. The handset would hit the market soon, although it is listed on some online retailers. Overall the A77 is quite nice phone at this price range.